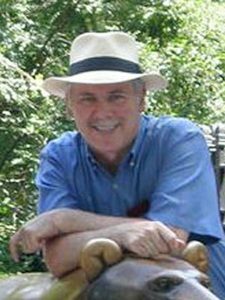 Michael Mannion has been a professional writer and editor for over 40 years, focusing on medicine, health and new science. He is the co-founder of The Mindshift Institute, a 501 (c) 3 nonprofit organization which has produced dozens of events since 1999 in New York City and around the country, as well as ten annual “Cosmos and Consciousness” conferences in Rangeley, Maine from 2003-2012. His Mindshift Institute also created a Center for New Knowledge in Northampton, MA which operated for four years, closing in 2012. Mr. Mannion was formerly the Director of Professional Education Publications for the American Cancer Society and the Managing Editor of the society’s flagship publication Ca-A Cancer Journal for Clinicians. He has been a staff writer for the New York City Health Department and also has written for many major conventional and complementary health organizations, practitioners and medical publishing companies. He has worked as a ghostwriter and editor on a number of physician-authored books. Mr. Mannion now edits and writes articles for the Journal of The Mindshift Institute (www.mindshiftinstitute.org). He has published two novels, Death Cloud and Colleen. He is also the author of Project Mindshift-The Re-Education of the American Public Concerning Extraterrestrial Life; A Maverick’s Odyssey-One Doctor’s Quest to Conquer Disease; The Pharmacist’s Guide to Over-the-Counter and Natural Remedies; and How to Help Your Teenager Stop Smoking. He lives in Manhattan with his wife and Mindshift co-creator, Trish Corbett.